We are looking for dependable and friendly volunteers to assist at our Maternity Information Desk. 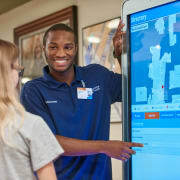 You will get the chance to interact with patients and visitors and help them find their way! If interested in this position, please apply at www.summahealth.org/volunteer.